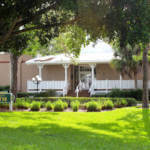 Marco Island Historical Society made history itself when it opened its very own Marco Island Historical Museum in 2010. The campus now welcomes thousands of visitors to the museum, auditorium and cultural center that make up this important local history resource. Still in its infancy, the museum relies upon volunteer docents to staff the Museum Gift Store, participate in archaeological digs in the area, maintain the archives and exhibits and organize regular events at the museum. Monthly programs at the Museum Complex include talks, presentations and entertainment in a varied program of events. Historical re-enactments are always popular with spectators. 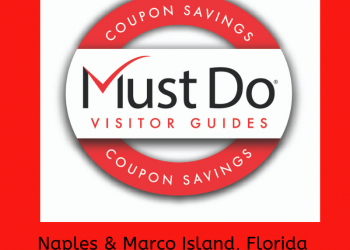 Although Marco Island has only been developed commercially in the last 60 years or so, it has been home to ancient civilizations including the Calusa Indians for over 6,000 years. 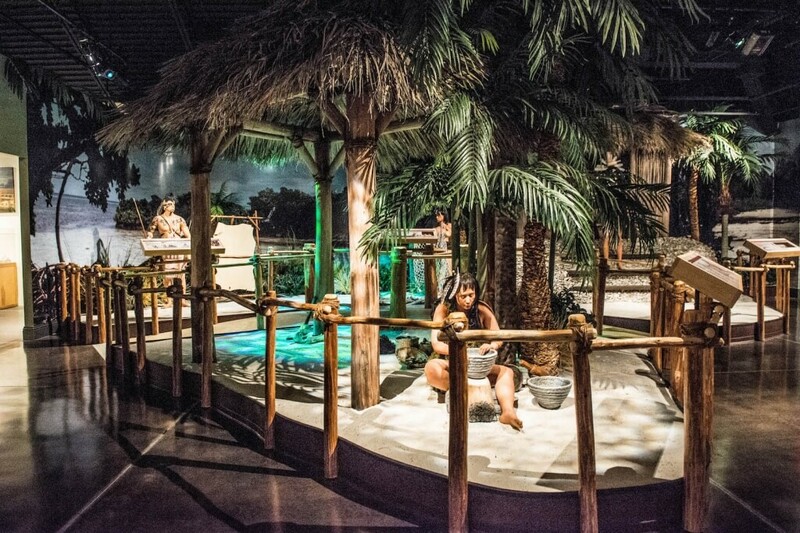 This provides the museum with plenty of artifacts and exhibits on fascinating topics including pirates and Spanish explorers. 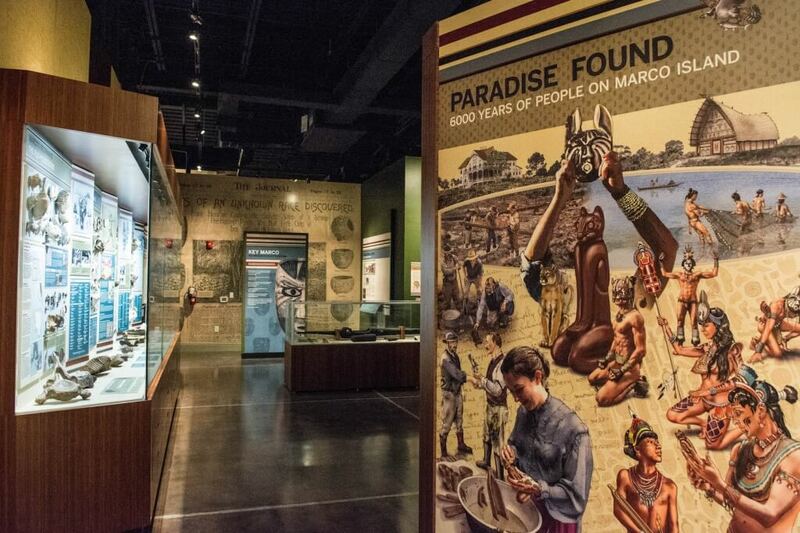 Visitors will find that there are some historically important collections on display at the Marco Island Historical Museum. Photographs, documents and objects allow us to touch history and appreciate the life that has gone before. 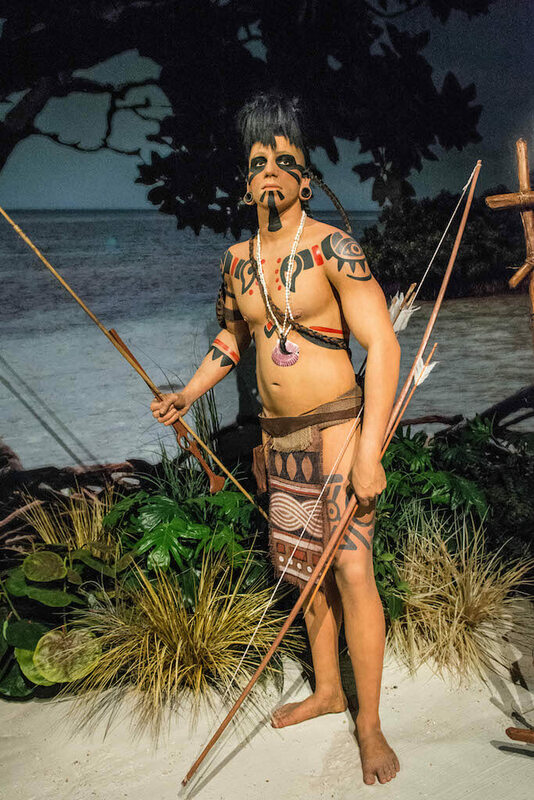 Permanent exhibits are displayed in a Calusa Indian village setting showing how the Indians lived. A changing program of traveling exhibits complements the permanent collection and includes displays from the Smithsonian Institute and the National Archives Experience. Along with newspaper archives and artifacts collected on archaeological digs, the museum has many items donated to its collection to ensure that local history is carefully preserved. Donations of suitable items of local historical significance should not be handed in or left on the doorstep. Donors should download the online form from the museum website and a member of the museum will get back in touch. 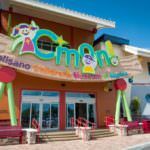 Although the museum is open to the public, it is only available on an appointment basis. Those wanting to visit the museum should contact the Curator of Collections for an appointment. Museum tours are ideal for groups and individuals. 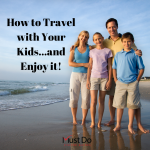 They are offered for a nominal fee and can last 2, 3 or 4 hours. 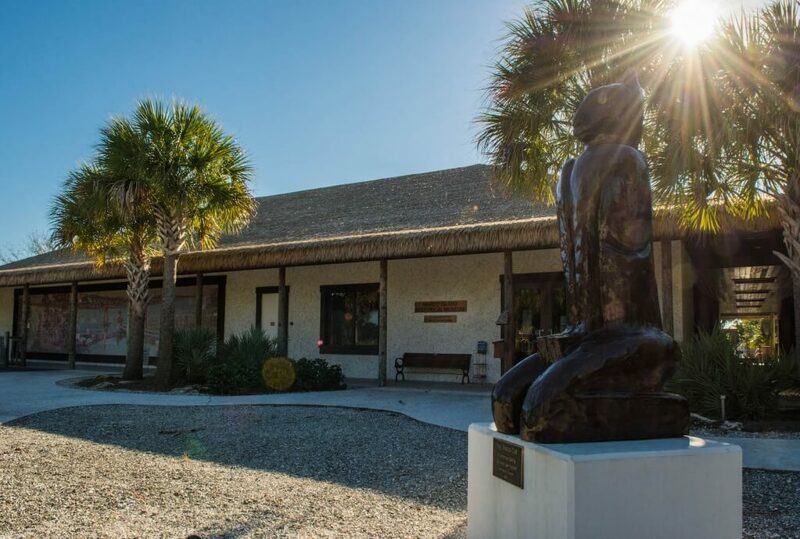 They all begin in the Rose History Auditorium with a showing of the award-winning “Domain of the Calusa” film followed by a tour of the museum and visits to various sites of historic interest on Marco Island and Horrs Island. 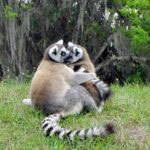 Visitors choose in advance which sites they would like to include in their bespoke tour. One part of the museum which always welcomes visitors is the MIHS Store which helps support the ongoing work of the museum. The store is open Tuesday through Saturday from 10am to 4pm with shorter summer hours from 11am to 3pm. The store is beautifully laid out with sections representing local artists and authors. 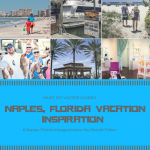 Enjoy browsing the works of art, photographs and replica Calusa masks along with beautiful books about Marco Island and the surrounding area, written by local authors. Gift items include Mariposa serve ware, silk scarves, colorful purses and handcrafted wooden bowls. 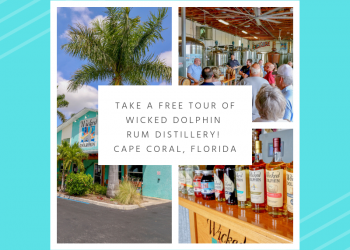 These tasteful items are sure to delight any lucky recipient as well as supporting the continued work of the Marco Island Museum. 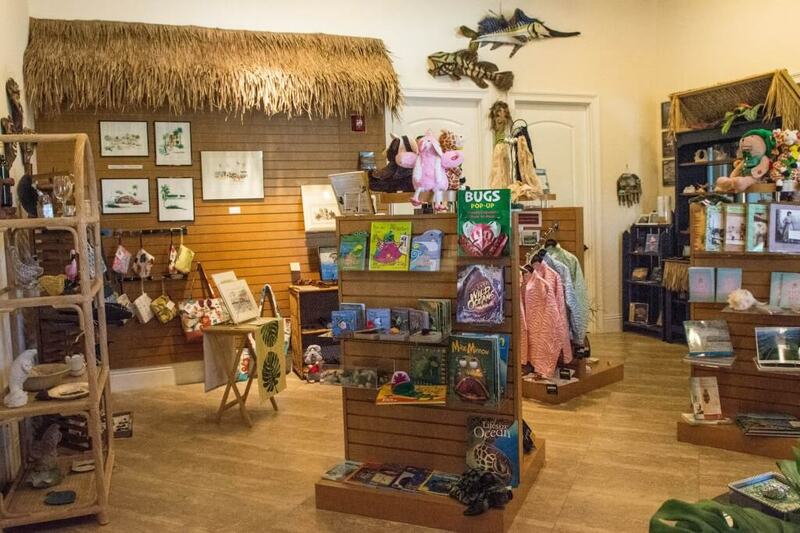 Glassware, T-shirts and an inspired Kid’s Corner make sure there’s something for everyone at the Marco Island Historical Museum.